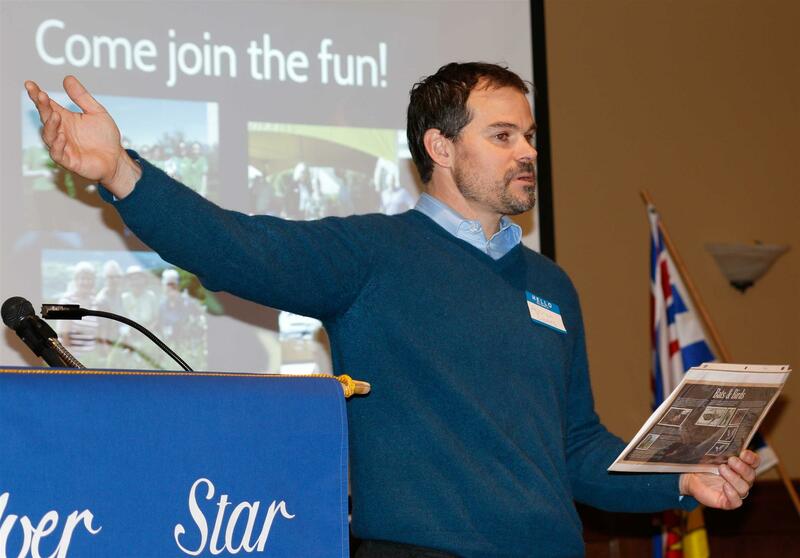 Aaron Deans, Executive Director of the Allan Brooks Nature Centre Society, updated us on events at the Centre. Always an engaging speaker, Aaron talked improvements & new programs. A highlight was ABNCS's new partnership with Lieutenant Governor Judith Guichon to locally deliver the Stewards of the Future program, which ...provides funding, resources and support for place-based stewardship experiences for students in grades 9 - 12. See http://www.ltgov.bc.ca/lg/priority-programs/stewards/default.html for more info.